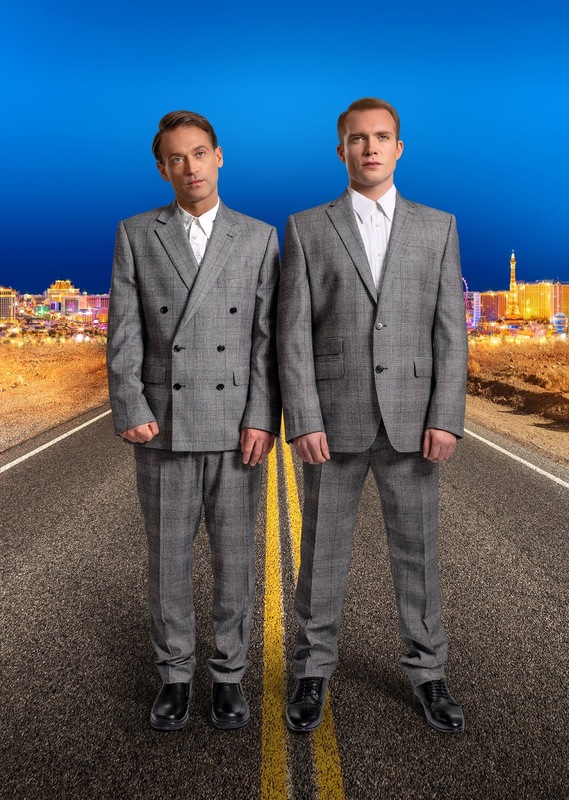 After a successful first year, Rain Man, the inaugural production of Bill Kenwright’s Classic Screen to Stage Theatre Company, has extended its run into 2019 with a new star cast. Paul Nicholls will play Raymond Babbit, joined by Chris Fountain as Charlie Babbitt. 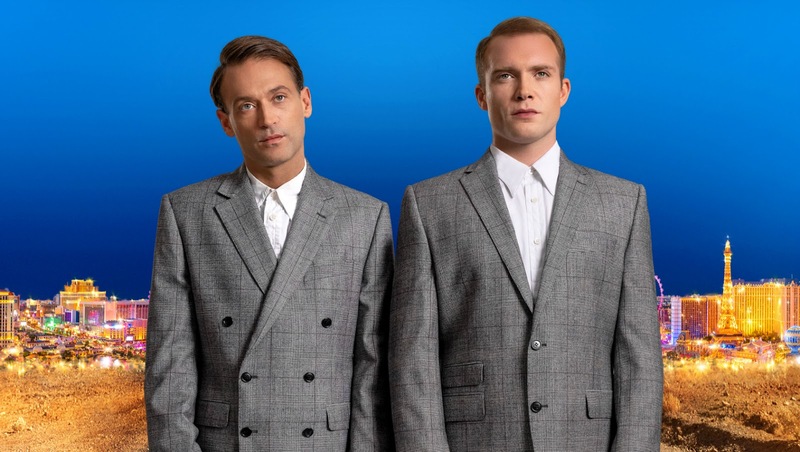 We talk to the former Hollyoaks star, Chris Fountain, about joining the touring production of Rain Man and taking on the iconic role of Charlie Babbitt. What attracted you to this stage production of Rain Man? Rain Man is one of my favourite films. It features two great performances from Dustin Hoffman and Tom Cruise, so I was 100% interested as soon as I heard about it. Those performances are iconic. Do you feel any pressure to live up to them? That’s what everyone thinks, but it’s the story that’s the main draw for me. It’s great to have the film as a reference; Tom Cruise portrayed Charlie absolutely magnificently, but I want to create my own version of Charlie. For anyone who hasn’t seen the film, what’s Rain Man about? Charlie’s interested in is trying to get half of his money, but as the show progresses, the two go on a journey and start to bond. By the end of the show you see Charlie in a different light. He really connects with Raymond in a way you don’t think is possible at the start. Is it tricky playing someone you don’t like? I really relish the opportunity to play something different from myself. It’s a test of your ability and it’s a challenge. Of all the parts I’ve done in my career, this is probably the biggest. 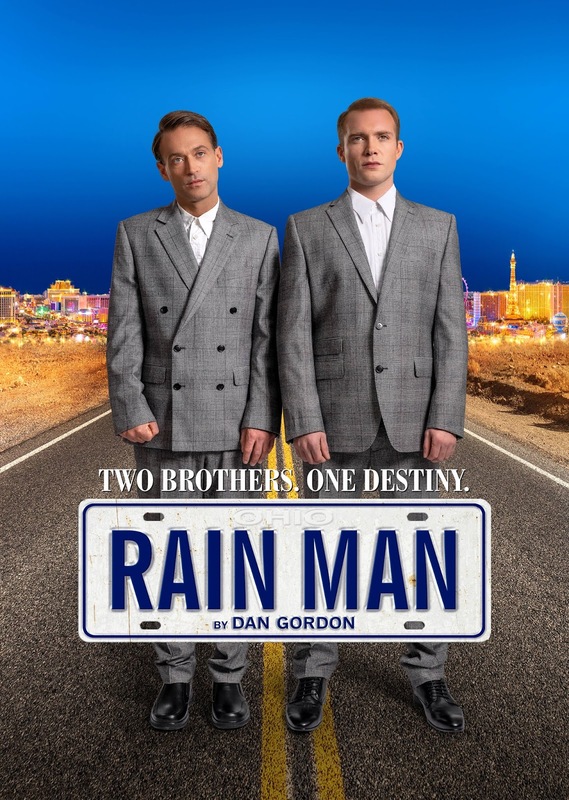 What do you think seeing Rain Man on stage rather than on a screen brings to the story? You can connect with certain things when you’re watching a film in your house, but when you’re in a theatre and you can hear the voices up close, you can see the emotion and the facial expressions, you really feel like you’re a part of the story, rather than watching it through a piece of glass. 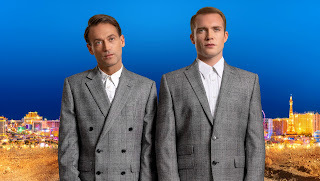 How have you found joining a cast that’s already toured together? It is a little bit daunting; it’s a bit like being the new kid in school. It would have been easy for Jonathan [O’Boyle, the director] to say, “Mat [Horne] and Ed [Speleers] did this, you do it too.” But he hasn’t. He’s giving us freedom to put our own spin on things, which is fantastic. I am. I’ve lived all over the place, so I’m quite happy living out of a suitcase. And it’s always exciting to go and see different theatres, cities and towns. I make a point, wherever I am, of getting out and exploring in the day time when I’m not doing the show. I collect vinyl, so I’ll try and find some little vinyl shops. You never know where you’re going to find some gems. I’ve been DJing for 10 years, so I collect House and Techno stuff, but I’ve got a few really rare disco records too. Some of them are still sealed as it feels a shame to open them because they’ve got 70-year-old oxygen inside the packaging. I’ve been to Newcastle a lot before. A friend of mine runs a bar called Tup Tup Palace and I always visit him when I’m there. I might try and catch a little bit of football too, if Huddersfield are playing Newcastle while I’m up there. It’s massively important. My first ever job – I was 10 when I did it – was the UK tour of Les Misérables when it came to Bradford. Everyone knows you can go and see amazing shows, plays and musicals in London, but in regional theatres, you don’t always get that, so I think it is important for touring shows to continue so people outside the capital still have the opportunity to go and see really good theatre. How was starring in Les Misérables as a child? I did it for two months and when it finished I was inconsolable. I was devastated. I wanted to do it forever. Following that I did Oliver! for Cameron Mackintosh, then Les Mis again. Then I got to a point where, in musical theatre, I was too young to play an adult and too old to play a child, so I started exploring TV. That, of course, is how many of us got to know you. 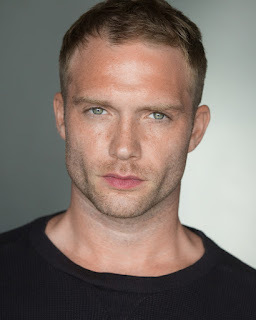 How was playing Justin Burton in Hollyoaks? Great. I left high school at 15 and was straight into Hollyoaks for seven years. I really grew up there, in the public eye and on the set. I learned so much from being there. Soap is a relentless schedule. The turnover of scenes in a day is absolutely incredible. I think people underestimate how hard actors in soap work. There’s just no rest. There’s no room for mistakes. You’ve got to get the episodes out. It was a real learning curve for me. Those years are so formative. Was it tough to grow up in that environment? Finally, what can people expect from a trip to see Rain Man? Audiences can expect a whirlwind of emotions, laughs, sadness and a heart-warming night at the theatre. The production is directed by Jonathan O’Boyle whose credits include: A Guide for the Homesick (Trafalgar Studios), Rasheeda Speaking (Trafalgar Studios), This House (UK Tour); Pippin (Hope Mill Theatre/Southwark Playhouse); and Hair (Hope Mill Theatre/The Vaults) winner of the WhatsOnStage Award for Best Off West End Production.